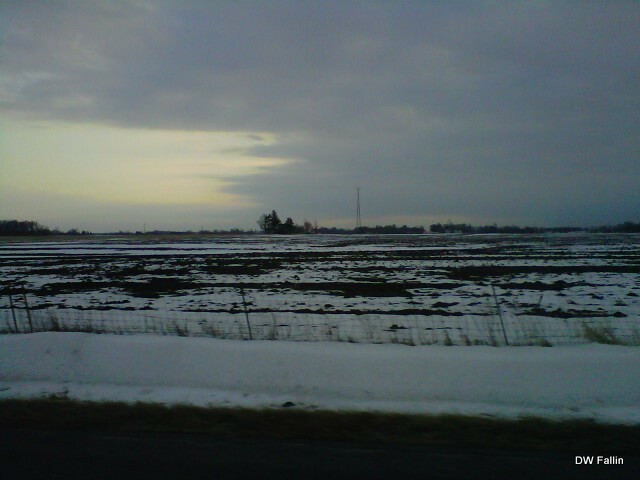 Snow covered corn fields in Indiana. Dusk was approaching and a golden glow was lingering in the distance. Strange how the hand of night stretches across the horizon and swallows up daylight..